Bishop's Lodge in Santa Fe, New Mexico is currently undergoing renovations, but it will reopen in the summer of 2018. In the 1950s, a Duncan Hines recommended restaurant was located on the grounds, and from the pictures on the website today, western-style class is exhibited everywhere throughout the dining facility. I think Hines would probably still recommend it. In his guidebook, Hines wrote that this place was "built on the site of the home of Bishop Lamy, made famous in "Death Comes for the Archbishop." Let's say that this place is beautiful at night, for it is indeed all of that. Southwestern Indian architecture. Spanish food upon request. Steak picnic." Brae Loch Inn in Cazenovia, New York is a restaurant that specializes in Scottish dishes. For instance, there is Haggis, which their menu describes as a "traditional scottish delicacy! Oats, lamb, liver, onion, drizzled with single malt whiskey baked. Served with mashed potatoes." Then there is Edinburgh Rack Of Lamb, which is described as "succulent rack of lamb, glazed in curry mint jelly, encrusted in toasted walnuts & baked." Another is Shepherd's Pie, which is "traditional scottish comfort food! Ground lamb sirloin, layered with root vegetables, seasoned corn & topped with garlic mashed potatoes." They have a wide selection of non-Scottish dishes as well, but if you want to eat Scottish food, come here. Duncan Hines did, and I'll bet he would again. In his restaurant guide, Hines wrote that this place was "an old homestead which has been turned into a delightful small hotel. This is something different. Decorations are Scotch to go with the name. They specialize in Scotch pastries taught by the owner by his grandfather. Scotch steak pie, a special lobster Newburg, their own onion soup, and for dessert Scotch Trifle or you can choose from a tray of Scotch pastries." The Lincklaen House in Cazenovia, New York was a Duncan Hines recommended restaurant, and he would undoubtedly recommend it today. It is a lodge with two restaurants, one for casual dining, which has the more extensive menu, and the Seven Stone Steps. Looking over the menu, it all looks good. They even have Shepherd's pie! Duncan Hines said that it was "an old hotel build in 1835, completely modernized. Specialtes: New England shore dinners, lobster pie and Newburg, Cornish chickens, baked and broiled, old-fashioned Indian pudding and deep dish apple pie." This is where someone who is familiar with the restaurants in New York state would come in handy. I have a Duncan Hines recommended restaurant that exists. I have pictures (see the link below). I can find nothing out about it. So if someone knows something about it, chime in. The restaurant in question is the Taconic Inn in Copake Falls, New York. Duncan Hines said that "the food is plain, cooked country style." That's it! The Ship Lantern Inn in Milton, New York was a Duncan Hines recommended restaurant, and it would undoubtedly still be. This is a high-class operation for a high-class clientele. Hines wrote of it, "Here you will be served excellent French and Italian dishes. I hope to return again soon." I'm sure he did. In the 1952 edition of his restaurant guidebook, "Adventures in Good Eating," Duncan Hines lists Lindy's in New York, New York. Hines wrote that it was "a famous restaurant since 1921 and a favorite with theatrical celebrities, writers and a wide variety of people who know and like Lindy's famous coffee. An ample of selection of sea foods, broiled or roast stuffed whole squab, chicken, roast beef, grilled steaks and chops. Also hot and cold sandwiches. You should try Lindy's own homemade cheese cake and desserts." The original Lindy's ended in the late 1960s but was revived in 1979. As far as I can tell, Lindy's in New York city is still in existence. They don't have a website that I can find, but I did find a menu. Three Village Inn in Stony Brook, New York is still around and as exquisite as ever. Duncan Hines wrote of this place that it was "a famous colonial homestead remodeled with care to retain its original atmosphere. Dining and porch overlooking Stony Brook Harbor. Specialties: seafood and chicken." Westbury Manor in Westbury, New York on Long Island is still a restaurant that many come to dine in style. Duncan Hines said that the specialties were "pate Maison, chicken sautee Maison, bisque of lobster, veal Vandoise, filet of sole Bonne Femme, duck Bigarade. Of course, these good dishes are not cheap." Casso Basso in West Hampton, New York has been serving Italian dishes since 1928 and they are still at it. After Duncan Hines ate here, he wrote in his restaurant guide that "they serve both Italian and American dishes, catering to family parties." The ones listed for San Antonio are still around, though I might have to try again on the Original Mexican. There was such a restaurant years ago. Need to see if they have a website or are closed. Mexican Manhatten which is downtown, is mentioned in Robb Walsh's book TexMex. Never ate there and don't know if CasaRio is mentioned in the Duncan Hines book. It's another oldy. 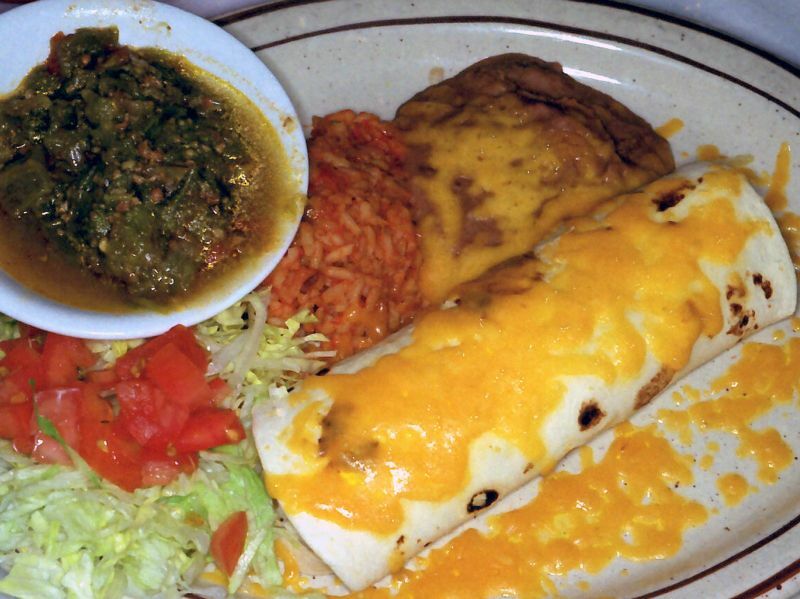 The Original Mexican Restaurant is indeed listed as a Duncan Hines recommended restaurant. I will come to it eventually, but it was/is located in the 1952 guidebook at 117 Losoya street. The other restaurants in San Antonio listed in this edition were Steve's Ranch House, Earl Abel's Restaurant, Dobbs House, La Fonda, La Louisiane, the Anacocho Room at the St. Anthony Hotel, Tai Shan Restaurant, and the Tepee Trading Post. Interesting. Thanks for the pictures! The sign says its the home of the movie stars. What era? The Holly Inn in Pinehurst, North Carolina is still going strong. It has been around since 1895. When Duncan Hines dined here, he wrote in the 1953 edition of "Adventures in Good Eating," "When you stop at this delightful Early American Inn, I feel sure you will want to stay on and on. Meals are well cooked and nicely served." They have a menu that is not cheap, but--in Duncan Hines style--very likely well worth it. You know you are in a classy place when a half-bottle of French wine is $76, a half-bottle of dessert wine is $151, and a bottle of cognac is $300. The item that they insist you try is their triple chocolate souffle for dessert. Iacomini's [now known as Papa Joe's Iocomini's] has been an Akron, Ohio institution since 1932. Duncan Hines recommended it in the 1953 version of his restaurant guide. He wrote that it had a "pleasant atmosphere" and that it had "good service" and was "air-conditioned." He said that it served "a variety of Italian spaghetti dishes, Grade AA beef, lobster and sea food." Looking over its menu, this restaurant has all sorts of Italian specialties. The stuffed banana peppers caught my eye as did their wide variety of steaks, chops and seafood dishes. The Aurora Inn in Aurora, Ohio opened in 1927. It burned to the ground in 1963 and reopened in 1965. It slowly fell into disrepair. In 2017 it was refurbished from the ground up and is now a very modern-looking inn, complete with two places to dine. The Cutting Board is the main dining room, while the Six Horses Tavern is designed for more informal dining. Duncan Hines dined her in the 1950s and wrote of it: "This historic inn was a regular stagecoach stop in years gone by. Choice meats, also chicken--pastries from their own kitchen. Attractive rooms also." Caproni's in Cincinnati, Ohio was once a Duncan Hines recommended restaurant. Hines wrote of it, "Specialties are Italian cuisine, also steaks, chops and other American fare." Today Caproni's no longer exists; its place (at 610 Main Street) has been taken by another restaurant known as Izzy's, a popular restaurant that has been around almost as long as Caproni's. The Hotel Cleveland, in Cleveland, Ohio once had a fine restaurant named The Bronze Room. Duncan Hines had a lot to say about it. He wrote in his 1952 restaurant guide that it had "nine magnificent oil paintings [that] adorn the walls, portraying the subjects of music, dining, dancing, romance and the carnival. Orchestra music during the evening, and dancing if you like. In this delightful room I have found the food excellent. Among their many superb dishes are onion soup au gratin, Lake Erie whitefish, sauteed Amandine [Almondine? ], fresh vegetables to individual order, and delicious homemade apple pie, French pastries, and Crepes Suzette." Today it has become the Renaissance Cleveland Hotel. It has much of its grand opulence, but they don't seem to have much in the way of a place to dine that's noteworthy. It has a dining room known as the San Souci. It is only open for breakfast. The Gables in Cleveland, Ohio, that Duncan Hines once recommended, is now know as Si Senor Mexican Restaurant. Duncan Hines said the Gables: "Appeals to those who like a "home cooked" type of meal in pleasant surroundings. Some of their specialties are a built-up fruit salad bowl, rum rolls, butterfly rolls, double orange and chocolate cake." Bun's Restaurant in Delaware, Ohio has been around for at least 150 years, and it was here when Duncan Hines came to visit in the early 1950s (and maybe earlier). Duncan Hines wrote that it served, "Home-style cooking, including roast fowl, swiss steak, chops and salads." From the looks of the menu, not much has changed. The eggplant dishes were interesting because you don't often see eggplant items on menus these days. Did DH have any recommendations for the Cincinnati-Dayton corridor or southern Indiana? I'll be there in a couple of weeks and might have time to do a little historical eating. 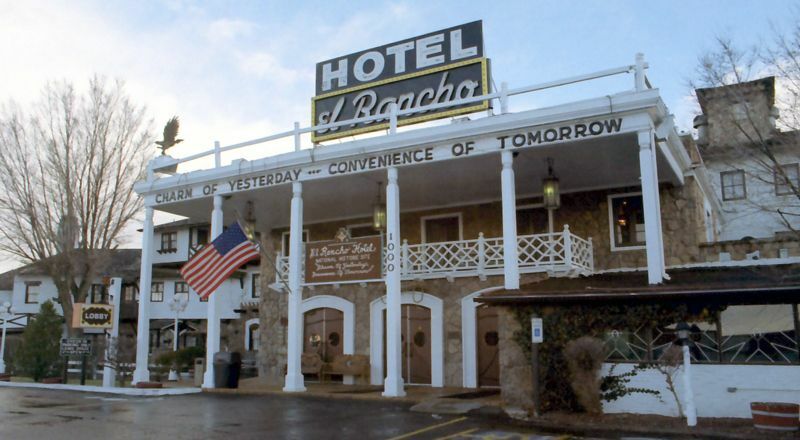 I just realized that I never answered your question about the movie stars that stayed at El Rancho in Gallup. 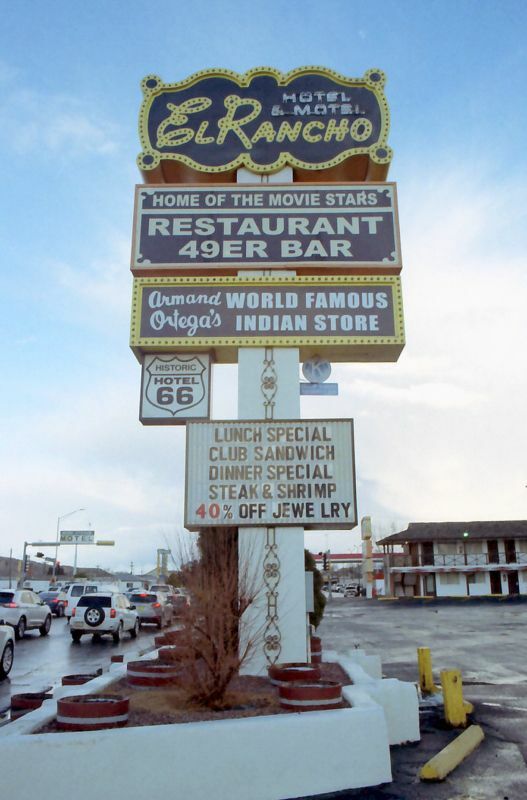 While I can't say for sure, my guess would be that the Hollywood Heyday of El Rancho was the 1930s through the '50s. I'll bet that once Las Vegas caught fire the movie crowd started visiting less and less. The Golden Lamb is the only Duncan Hines recommended restaurant that I can think of in the Cincinnati/Dayton area. I believe he first ate here in 1912. It has been a Roadfood restaurant for decades. The Whale Cove Inn in Depoe Bay, Oregon is still around, many years after Duncan Hines first recommended it. Hines said that he had an "excellent view from windows of Whale Cove and the Pacific [Ocean]. Specialties: Steak dinners, Virginia baked ham, french fried turkey, french fried crab legs and chicken 'n dumplings." Today it seems as if the restaurant has now become an inn that has a first-class restaurant called Restaurant Beck that Duncan Hines would want to revisit. The Pancake House (now known as The Original Pancake House) in Portland, Oregon was founded in 1953. It must have been an instant hit with the public, because it was listed in Duncan Hines' 1953 edition of "Adventures in Good Eating." Hines said this (then) new restaurant had "nine varieties of pancakes, three kinds of syrups, also honey, fruit juices and other dishes such as sausage, ham, bacon and eggs that go with their "pancakes as you like them." It is now a 2nd and 3rd generation family business that is known for such specialties as their apple pancake, which is a "single large pancake smothered with sautéed apples and cinnamon sugar" and then baked. They also offer "unique omelets, including the mushroom omelet topped with homemade rich mushroom sherry sauce" and which is then "rolled in a skillet" and then baked. In addition, they also have gourmet crepes, one of which is "the cherry kijafa crepe, a blend of tart cherries and sweet Danish cherry wine" as well as the Continental Crepe, which "is rolled with sour cream tempered with orange liqueur and served with our famous tropical syrup, made from a delectable blend of citrus fruits." It sound all sounds good! They're also a huge chain. We ate the one in Fishers, Indiana some years ago. It was OK, but there are better chain breakfasts around. They are also more than a bit overpriced for a pancake joint. The original location may be something great, but I really wasn't overly impressed. If you want to eat at a hotel where Clark Gable, Mary Pickford and Jack London slept, come to the Wolf Creek Inn in Wolf Creek, Oregon. Duncan Hines recommended this inn and tavern. He wrote that it was "an interesting old post house, built in 1857. It has housed practically every important personage in the northwest during the early history of Oregon. Now restored to usefulness, present-day travelers enjoy its excellent meals. Specialties: fried chicken, T-bone steak, home-made Oregon apple pie." The entrees are a little different these days, but I'm sure they still offer up quality cuisine. They even have hamburgers name after Gable, Pickford and London. Duncan Hines recommended this restaurant in his 1953 restaurant guide. Of it, he wrote, "This old tavern, built in 1819, possesses much historical and architectural interest. In a charming, colonial atmosphere, they serve just good home-cooked meals, specializing in steaks, chicken and lobster." While I couldn't find a website for the restaurant, Trip Advisor had a page of reviews, all of which seemed to enjoy their meals there. There is no longer a White Star Hotel in Jennerstown, Pennsylvania. Duncan Hines once recommended this place well over 50 years ago. He didn't have much to say about it other than "try their chicken and waffles, also steak." However, there is in the same location a restaurant called Our Coal Miners Cafe. I couldn't find much about it, but Trip Advisor has a review of it, and they still serve food. It seems to be a pleasant, attractive place. Interesting that a place so far away from Harlem and other soul food centers would be selling chicken and waffles back then.